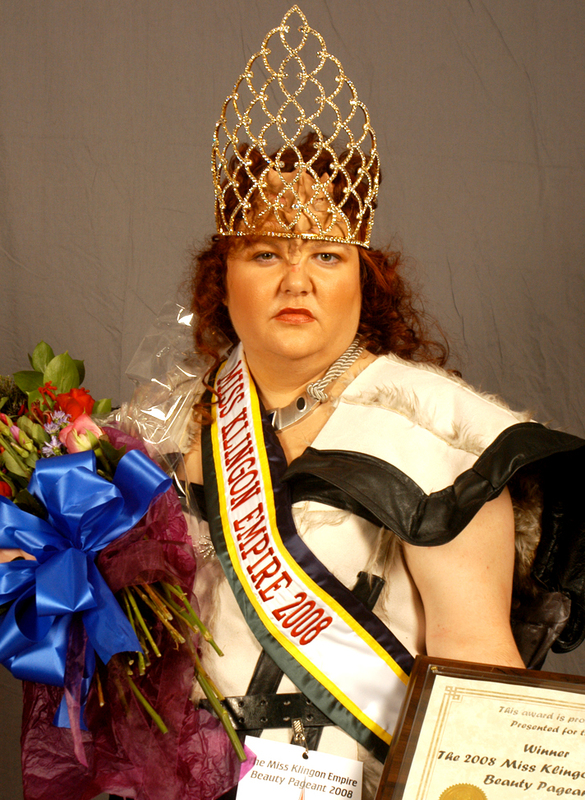 THE TOP 11 OFFBEAT BEAUTY PAGEANTS TWO YEARS IN A ROW! AS FEATURED IN DISCOVER MAGAZINE! AS FEATURED ON THE FOX NEWS WEB SITE! AS SEEN IN SPIN MAGAZINE! AS FEATURED IN SHOCK MAGAZINE! 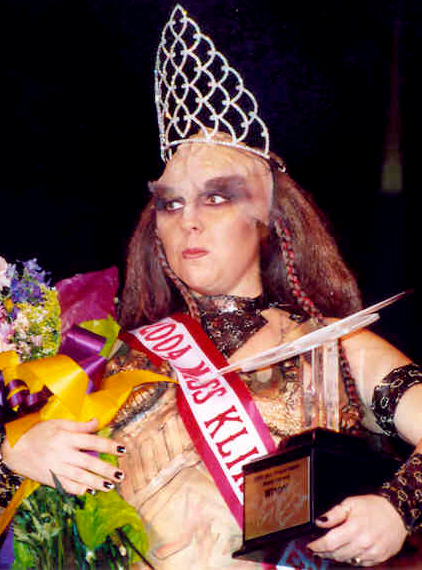 THE 2005 MISS KLINGON EMPIRE BEAUTY PAGEANT! 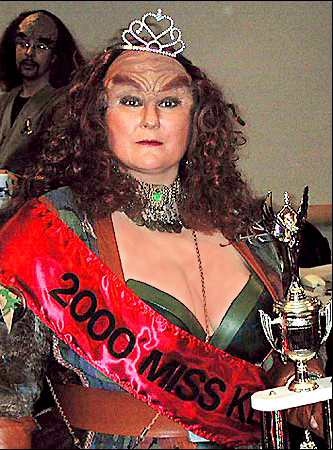 2008 Judges: Autumn-Skye Boothe, Michael Dorn, Dominic Keating, Ethan Phillips, James Cawley. 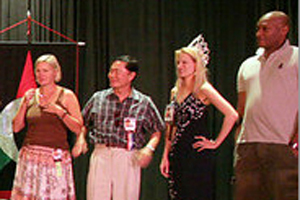 2006 Judges: Denise Crosby, George Takei, Autumn-Skye Boothe, Tony Todd. 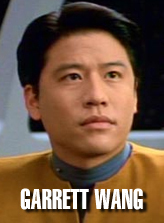 2004 Judges: Garrett Wang. Not pictured: Richard Herd, Autumn-Skye Boothe. 2002 Judges: Armin Shimerman, Robert Picardo, Ethan Phillips and Autumn-Skye Boothe. 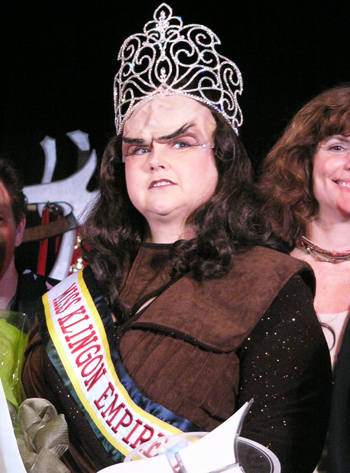 The Eleventh Annual Miss Klingon Empire Beauty Pageant is open to any qualified attending female member of the 2009 Dragon*Con, who is at least 21 years of age, except for members and relatives of the TrekTrak Staff, TrekTrak Programming Committee and/or Dragon*Con General Staff, who agrees to abide by the rules of this contest as posted here, now and in the future. There is NO registration fee nor any additional cost to participate. 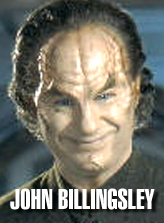 Membership in or affiliation with any Klingon-oriented organization (i.e., KAG, KLAW, etc.) is not required. 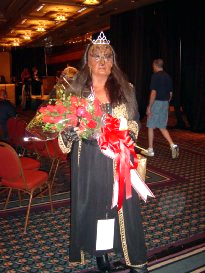 "Beauty" --- Contestants will be judged on the quality and professionalism of their costumes, make-up and "modeling." 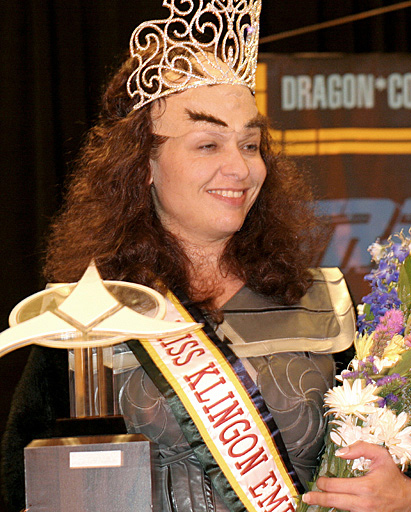 Contestants may assume the identity of any Klingon female character from any incarnation of Star Trek, or any original Klingon persona of their own creation. 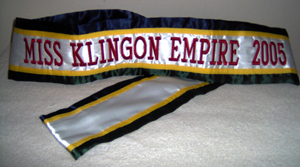 Contestants will be asked to walk a runway in their Klingon persona. Poise, grace and the authenticity of her persona will be the criteria for judging. "Talent" --- Contestants will be allowed NO MORE THAN THREE MINUTES to demonstrate a talent or skill. Contestants may sing, dance, act, perform or make any other type of presentation that demonstrates a talent or skill so long as the presentation does not endanger herself, other contestants or the audience. (In other words, no flaming bat'leth twirling, etc.) 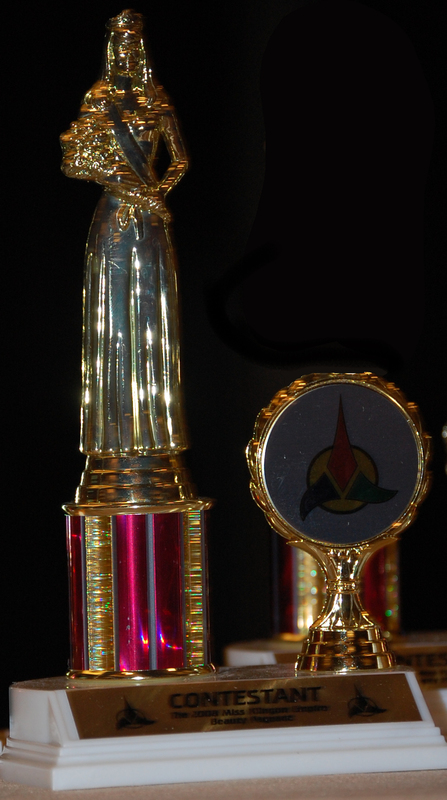 Contestants are encouraged but not required to present a Klingon-themed talent or skill. Originality and the authenticity of her persona will be the criteria for judging. 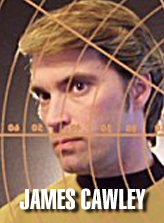 Contestants must disclose to the TrekTrak staff their talent intentions prior to the convention for planning purposes, but such information will be kept strictly confidential. Audio, video or other technical equipment needed for a specific talent presentation can usually be provided with sufficient advance notice. "Personality" --- Each contestant will either be asked a question to which she must respond, or be asked to perform some simple task on the spot. The authenticity of her answer or performance, and of her persona, will be criteria for judging. 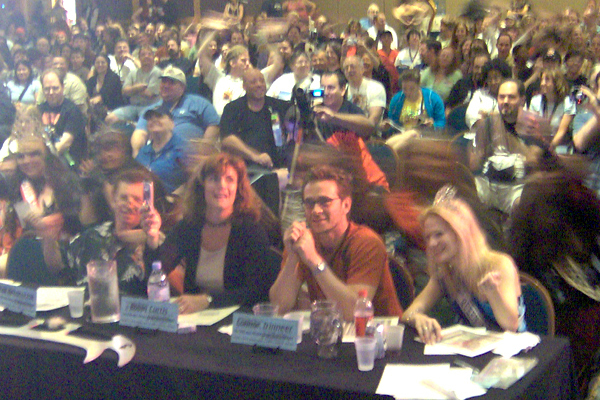 2007 Judges: Autumn-Skye Boothe, John de Lancie, BarBara Luna, Ken Feinberg. Not pictured: Charles Root. 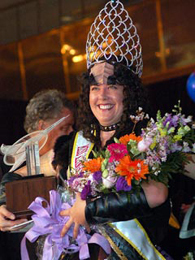 2005 Judges: Max Grodenchik, Robin Curtis, Connor Trinneer, Autumn-Skye Boothe. 2003 Judges: J. G. Hertzler, George Takei and Vaughn Armstrong. Not pictured: Autumn-Skye Boothe. 2000 Judges: J. G. Hertzler and Robert O'Reilly. 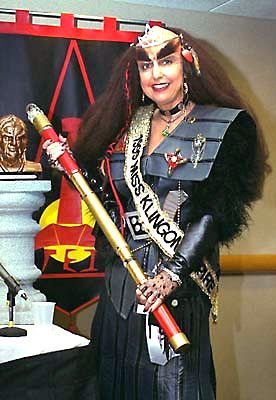 "Ma'Jon of the Clan IpaQ"
The Miss Klingon Empire Beauty Pageant will once again be MC'ed by its creator and producer, Eric L. Watts, Dragon*Con's Director of Star Trek Programming. 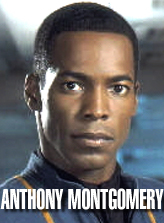 Star Trek celebrities scheduled to judge include John Billingsley, Anthony Montgomery, Garrett Wang and James Cawley. official Dragon*Con seal... suitable for hanging. Deadline, Registration and Maximum Participation --- It's not too late to enter! But hurry! There will be a maximum of ten contestants. Contestants must register in advance by e-mail or surface mail in order to participate. If you are interested in participating or have any questions or comments about this event, send your name, surface address and home phone number via e-mail to the TrekTrak Staff or surface mail to TrekTrak, 2902 Aspen Woods Entry, Atlanta GA 30360-2759. The Dragon*Con programming schedule only allows for the participation of 10 contestants. Registration is first-come, first-serve. Due to the absence of one or more preregistered contestants at previous years' pageants, two additional Alternate contestants will be allowed to register this year. However, their participation in the pageant is contingent on the participation of all 10 preregistered contestants, and the alternate(s) will only compete should any of the first 10 preregistered contestants fail to appear at the event. 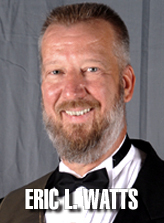 Copyright © 2005-2009. All Rights Reserved.